Philanthropy has the power to transform society, and fundraisers, like you, play a major role in this process. The BE the CAUSE Campaign embodies the importance and impact of a profession that values ethical and effective fundraising in the world and works in the interest of the public good. The campaign demonstrates what fundraisers do and why we do it. Because education, training, mentoring, and research empower fundraisers. Your support of the AFP Foundation is above and beyond AFP dues. When you join AFP, you receive products, programs, and services in exchange for your membership. The AFP Foundation raises revenue for fundraising innovation to underwrite the creation of new or enhance existing programs and services—adding value to your membership. 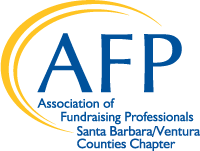 The AFP Foundation also works to raise awareness about the role and impact of fundraising in philanthropy to nonprofit leaders and donors and the general public. All donors are recognized by the AFP Foundation through online donor listings and in AFP’s annual report. Those giving $1,000 or more are also acknowledged on signage at the AFP International Fundraising Conference. On a local level, donors should receive a donor pin and additional recognition from their chapter. To get involved with BE the CAUSE Campaign planning or for any questions, please contact Steve Willmont at swillmont@netzelgrigsby.com or Amy Towner at amy.towner@ventura.org.